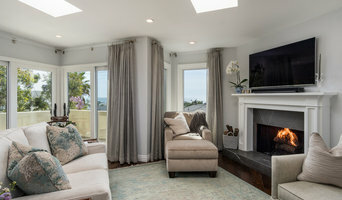 Remodeling California for over 27 years Pure Home is one of the top remodeling companies serving the greater Los Angeles metro area and surrounding counties. S O D Builders Inc. is a full-service construction and general remodeling company which provides a wide range of contracting and renovation solutions. We Turn Houses Into Homes. FK Interior Design is a full service interior design firm for residential and commercial interior design. Firoozeh, founder and principle is a Los Angeles based interior designer bringing many years of design talent and experience to her projects. She incorporates her gifted eye for color, balance, proportion and texture into every project. Her love and passion for the arts and interior design helps translate each client’s vision into a unique, elegant, and sophisticated space. FK Interior Design projects range from new construction, entire home and office remodeling, kitchen and bathroom remodels, corporate offices, and high-end luxury homes. Give us a call today, we would love to hear about your dream project! For as long as she can remember, Mariah Shaw has had a passion for design. She graduated from the Sheffield School of Design in New York City and has over 15 years experience in the Interior Design Industry. Her services are tailored to meet your individual needs, whether it’s a complete turn-key design for the whole house or input for a single space. Her work combines an artist’s understanding of color and materials with a trained designer’s skill and expertise. She creates beautiful, liveable spaces that are inviting and functional. Beside her innate passion for Design, Mariah’s success is largely due to her warm and collaborative nature, which allows her to connect with all of her clients. She listens to each client closely and customizes each design to their individual needs, resulting in unique and welcoming spaces you can truly call home. 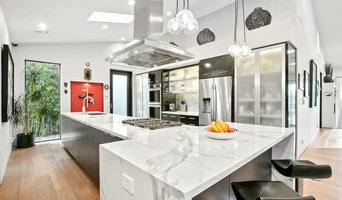 Gavin Green Home Design makes luxury an affordable reality! GGHD immerses Home Automation Systems known as Smart Home Systems in our exclusive design concepts: Urban Retreat, and Maison de Luxe. 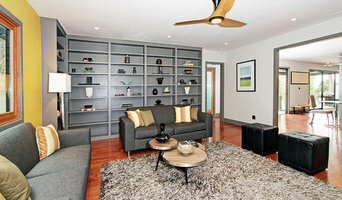 ECO-CHIC HOME DESIGNS are beautiful, low-maintenance, affordable, ready to go, sustainable home designs. These are fully specified with materials and details, as well as structurally engineered. Creative Construction & Design is owned and operated by a Female Licensed Contractor who is a Certified Kitchen and Bath Designer, Artist and Creative. Consult with Yvonne early on to make sure all aspects of your project are taken care of in detail. From the initial design concept to the finishing touches. Her work ethic, professionalism and excellent design skills make her and her company the ideal fit for a contractor who designs and manages all aspects of your project. 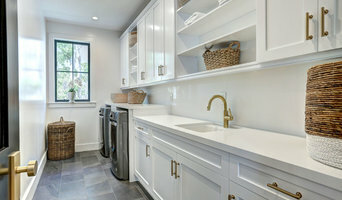 Yvonne Landivar is a kitchen and bath designer with over 20 years experience in the industry, she is also a licensed General Contractor with over 9 years of experience in remodeling and rehabilitating properties in the Los Angeles area. Her expertise make her a valued asset when planning for a new construction or a remodel project. When you want to work with the best, be within budget and be wowed by your results give us a call.